← Did John Calvin have a man executed for heresy? The deity of Christ is explicitly stated in the Scriptures. But some verses are subject to the revisionists who exclude certain readings, depending on which Greek NT manuscript they were translated from. Whether the Traditional Text in the Textus Receptus (the Received Text, published by Desiderius Erasmus of Rotterdam in 1516 A.D.) is used or the Critical Text (CT), derived from the revised Greek NT of Westcott and Hort. Thus the CT is based largely on the 4th century Vaticanus B codex (book) with some readings from the Sinaiticus ℵ (Aleph) codex and a handful of others manuscripts.1 Refer here for more details on some of their corruptions. The Textus Receptus (TR) has been classified into what some call the Majority Text (MT) because the majority (99%) of extant Greek manuscripts (mss) agree with its readings. However most modern Bible translations rely on the CT where the claim is made that the older mss are more accurate, i.e. closer to the original autographs, which, by the way, are all lost. But the corruptions, corrections and omissions in the codices B and Aleph and in their few supporting 2nd/3rd centrury papyri (mostly P45, P46, P66, and P75) are well documented. Nevertheless these 4 ‘most important’ papyri support the TR readings more times than they do those in either of Vaticanus B or Sinaiticus Aleph, despite their corrupted natures. A quick examination of many translations (Bible versions) would show you that nearly all agree on this reading with respect to the deity of Christ. The Jehovah’s Witness New World Translation (NWT) does not as they don’t believe Jesus to be God. A few others also but they are inconsequential. In relation to the King James Bible debate, or actually the TR and MT verses CT, the which-Bible-should-you-use debate, I read the book “The King James Version Debate, A Plea for Realism” by D.A. Carson (1979). On page 64 there is a Chart 1, which compares and contrasts whether or not the author’s chosen set of Bible versions (KJV, RV, RSV, NEB, Moffatt, Goodspeed, TEV, NIV, MLB, NWT) directly make the case for the deity of Christ in a selection of verses. Those verses are John 1:1, 1:18; Acts 20:28; Romans 9:5; 2 Thessalonians 1:12; Titus 2:13; Hebrews 1:8; 2 Peter 1:1. The author’s main claim there is that the NIV attributes deity to Christ in 7 out of the 8 verses whereas the KJV only scored 4 out of 8. One of the verses, 2 Thessalonians 1:12, did not record the deity of Christ in any of the translations, so that hardly counts. That leaves only a difference in 3 verses. So I did my own comparison of all the listed verses across 7 translations, but not use the same ones as Carson did. I compared the King Jame Bible (KJV), the Geneva Bible (GNV), Jay Green’s Literal Translation Bible (KJ3),2 the so-called New King James Version (NKJV),3 Paul W. Esposito’s English Majority Text Version (EMTV),4 the English Standard Version (ESV) and the New International Version (NIV). I found, excluding 2 Thessalonians 1:12, all the verses ascribe directly deity to Christ except in John 1:18, which is only found in ESV and NIV. And I suggest that is because they are translated from a different Greek source text (CT). In the NKJV a footnote has a reference to ‘only begotten God,’ which supports deity. But as indicated in footnote 3 the NKJV is translated from a hybrid, though mostly TR based, Greek source text. Yet it seems to me that the translators did not know which readings they should settle on, so they included footnotes from everything they could. One of main points I wish bring out here was prompted by how Carson classified the verses Titus 2:13 and 2 Peter 1:1. In both cases he listed that these verses directly support the deity of Christ in the NIV, which is a CT based translation, but that they are not supported in the KJV. I disagree. The veracity of these two verses regardless of the Greek source text is not in question. But is there any truth to Carson’s claim that the KJV does not ascribe deity to Christ in these verses? Firstly, just reading them in the KJV, I understood both to mean that Jesus Christ is our God and Saviour. So that was my first commonsense interpretation. Secondly, if we look up the Greek word translated ‘and’ (highlighted in brown) in these 2 verses, from the TR, upon which KJV was translated, we find it is καί (kai), which has a range of meanings not limited to ‘and, also, even, both.’ So the meaning from the Greek text is that it is referring to one God who is also Saviour. Thus the expression in the KJV could have been translated “the great God even our Saviour Jesus Christ” (Titus 2:13). Similarly for 2 Peter 1:1. Carson got it wrong. And I have read of others who while arguing for the deity of Christ have used at least one of these KJV verses to support their claim. Now note the bolded word ‘our’ and where it is placed in these verses. The KJV is based on the TR (a MT based NT) and the NIV is based on the CT. Much of the debate over these verses has been around the Greek grammatical construction and the application of Granville Sharp’s Rule to it. In the English translation of Titus 2:13 the equality between ‘God’ and ‘Savior’ in “our great God and Savior, Jesus Christ” would have to hinge on the insertion of that comma (in the English text) before ‘Jesus Christ’ as per the NIV. However no comma appears in 2 Peter 1:1 in NIV but it does appear in other translations. As a result the critics claim that in the KJV these two verses do not directly refer to Christ as God. But if this is the case for the NIV, why is it inconsistent between these two verses in the NIV? The problem can’t lay with the location in the sentence of the word ‘our.’ That is, the TR and the CT Greek texts cannot be the source of the difference, because the Geneva Bible (GNV ), which used the same Greek source text (TR) as the KJV, has the word ‘our’ in 2 Peter 1:1 in the same place as the NIV. So how can you say “the great God and our Saviour Jesus Christ” (Titus 2:13 KJV) is not equating ‘God’ to ‘Christ’ but “our God and Savior Jesus Christ” (2 Peter 1:1 GNV and NIV) is? You don’t need a Greek text to realize this. And add to this that the word ‘and’ here carries the meaning of ‘even’ then the location of the word ‘our’ is irrelevant. And the location of the comma only occurs in the Titus 2:13 reading from NIV, but Carson checks NIV as ascribing the deity of Christ in 2 Peter 1:1 also but not in the KJV, when no comma appears in either NIV or KJV. It is not a source text issue (CT, MT or TR), because the only difference is the location of the word ‘our’ and one comma in one verse. Then if you read the context of these passages they support the deity of Christ regardless of the translation used. In Titus 2:13 “that blessed hope” and “the glorious appearing” are the same thing and represent the singular appearance of God. Carson was quite clearly wrong. Now the reason I chose to compare the English translations that I did is because they represent essentially three categories of Greek NT’s. The KJV, GNV and KJ3 are all based on the TR (the Traditional Text), a Majority Text (MT) Edition by virtue that it agrees with 99% of all extant Greek NT mss (5210 out of 5255). The KJ3 is a relatively new translation of the TR. The Traditional Text has been preserved by the Holy Spirit through its common use for two thousand years. In these translations formal or verbal equivalence is used, which is nearly word for word translation. On the other side are the ESV and NIV based on the Critical Text (CT) and they have only about 45 supporting mss. It was claimed by Westcott and Hort that their Greek NT (1881) was the most accurate because their mss are the closest to the originals. But oldest does not guarantee free from corruption. The mss themselves exhibit many corruptions and they are few in number because the believers did not copy them because they did not use them. In the NIV dynamical equivalence (a sort of paraphrasing; sense for sense translation is the so-called method) is used in the translation to English. The wikipedia site on the ESV (2001, with revisions in 2007 and 2011) claims it used a formal (or verbal) equivalence method. Then the wikipedia site on the English Revised Version (ERV or RV) , the first revision to the English Bible after the KJV, in 1881-85, says it is a literal translation. Then in the middle you have the NKJV and the EMTV, which are ostensibly based on the TR (the Traditional Text). Well that is what people are given to believe in the case of the NKJV. But they used the Greek NT of Hodges and Farstad, which is meant to be of the MT category. The problem is there are two thousand corrections (additions, subtractions, variations) taken from the Greek CT NT, besides all the footnotes of variant readings from other sources. And dynamical equivalence is used. Buyer beware! 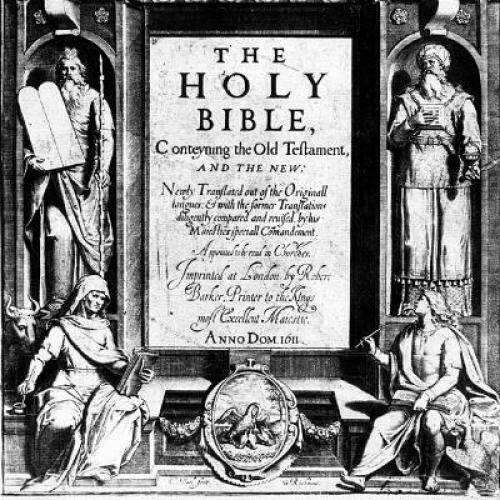 Just because a Bible translation is labelled New King James Version (NKJV) it does not mean it is the original King James Bible just with modernised language, i.e. eliminating the thou’s, ye’s, shalt’s etc.. If you want that try the King James Bible Easy Reader (KJVER) which is what it seems. In my survey, the 7 translations mostly agreed on the verses listed as far as the deity of Christ is concerned. Carson was wrong claiming the KJV did not give deity to Christ in two of the verses. But in the NIV where deity was claimed in the text, in the margin notes deity of Christ was subtracted in 3 verses. So the final scores from the 7 verses (not including 2 Thessalonians 1:12, which none of the translations had deity of Christ) are: NIV 4/7 and KJV 6/7. I’ll take the King James Bible any day. The Critical Text (CT) is a Greek NT Edition of Nestle and Alan based on the Greek text compiled by Wescott and Hort, apostates who both had strong leanings toward the Vatican, though they were Anglicans (Church of England). Both were very critical of the Textus Receptus Greek NT. The codex Vaticanus B, has the Gnostic perversion in its reading of John 1:18 “only begotten God” hence this is what is found in the CT NT upon which most modern translations are based. Gnostics held to the idea of lesser gods and hence the notion of God begetting a god. John 1:18 is one of the verses discussed later in this article, where the Traditional Text (hence TR based translations) have “only begotten Son” in John 1:18. In a margin note the NKJV cites the spurious alternate reading to this as “only begotten God” derived from the Vaticanus B based CT Greek NT. The KJ3 Literal Translation NT of Jay P. Green Sr is based on the TR, and uses modern English but it is a single person translation. Available here to download as PDF. The NKJV New King James Version uses the Greek NT from Hodges and Farstad, and their text, “The Greek New Testament According to the Majority Text.” They use 2 thousand corrections in the text from the CT, so it is a hybrid with CT. It is not a new KJV as the name suggests. If you want that choose the King James Bible Easy Reader (KJVER) which only changes the Jacobean language forms and retains the original words with a few exceptions for archaic words and they are all listed. The EMTV Byzantine Majority New Testament uses the Greek NT of Hodges and Farstad, and their text, “The Greek New Testament According to the Majority Text,” as well as from Dr. Wilbur Pickering, and this version uses his definition of what constitutes a majority reading, and, as a result of his work, and the work of others, John 7:53-8:11, the book of Revelation reflect these variant readings. This entry was posted in Belief in God, Biblical doctrines, The Bible and tagged 2 Peter 1:1, Bible translations, Critical Text, D.A. Carson, deity of Christ, Desiderius Erasmus, ESV, Geneva Bible, GNV, Hodges and Farstad, Jay Green Snr, Jesus Christ, John 1:1, King James Bible, King James Version, KJV, Majority Text, Nestle and Aland, NIV, only begotten Son, Sinaiticus, Sinaiticus Aleph, Textus Receptus, Titus 2:13, translation, Vaticanus, Vaticanus B, Westcott and Hort. Bookmark the permalink.